When I bought the pharmacy in 2003, I wanted to completely transform it and save space by relocating the stock. Having worked before with a wholesaler, I was convinced automation was key and so I asked several suppliers to study my project. Being the market leader and offering the simplest and fastest machine at a very competitive price, I told myself that this was the zero risk option . Today I could not be happier with my choice. In addition to being able to expand my sales area, I am constantly surprised by the speed of the system. 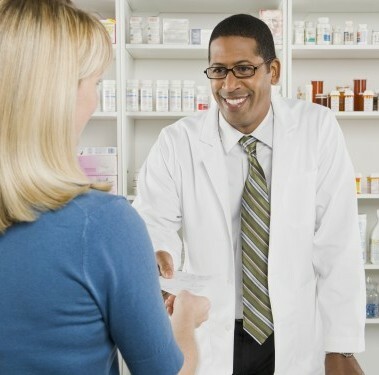 The pharmacy works with 3 employees including myself and I am more than convinced that the automation has meant I haven’t needed to hire one or two more people, despite the very large increase in activity that I have experienced. The automation meant I didn’t need to hire an additional 1 or 2 people despite the very large increase in activity that I have experienced. My pharmacy is an example of profitable automation in a modest sized pharmacy. Over 90% of my stock is automated and that is the secret! The remaining 10% is to hand and this has allowed me to make an optimised investment, and a precise study of the stock before automation was essential to convince me! My pharmacy is an example of profitable automation in a modest sized dispensary.